Re: What is the word? prais thy super giant of werdz! "Meatball" is a word I have recently found out as similar in meaning to the Bulgarian word "kyufte". "plane" and "train" are the words for means of transport, which rhyme. "Joy" is another word I decided to write, because I like its meaning. support is a thing i did in this post for your word. meatball! Also, thank you for the support! "Excellent " is the word I am wirtting on this turn . Excellent 6 . Yay! let us leave excellent at 6, it is very good number! "Criteria" is another word I came up with for this game. 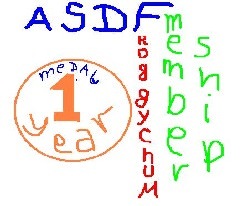 Also, support for the word ASDF ! And, again, the 40th usage of the word ASDF in this game ! dude nice! you got numbah forty! A tasty turn, in which the used words are the words for my my favorite fruits: Strawberry, Cherry and Fig. Award is the other word i will write on this move. ASDF - to show that I support using this word in this game! cheese and reward are the words, from which I am cleaning up the number I avoid. Chocolate is the awesome word I can afford to use now. the way you think is interesting! Also did anarchy twice so it would not be a bad number you dont like! Hello, Uly! It is good to see you again! Congratulations for the long word! The words are Sun, Sun , Sun and Support. On a scale from 1 to 10 how much do you like me and how much do you respect me? we are friends, and i like playing these games, occasionaly i will get annoyed, but i quickly recover.